Outside the Central Minnesota Ethanol Co-Op in Little Falls, it's clear there's not a lot going on. The pungent smell of fermentation that typically hangs in the air near ethanol plants is absent. Trucks hauling corn are nowhere to be seen. Across the nation, spiking corn prices and limited supply are forcing a growing number of ethanol plants, including the one here, to temporarily close — yet another symptom of the worst drought in half a century. 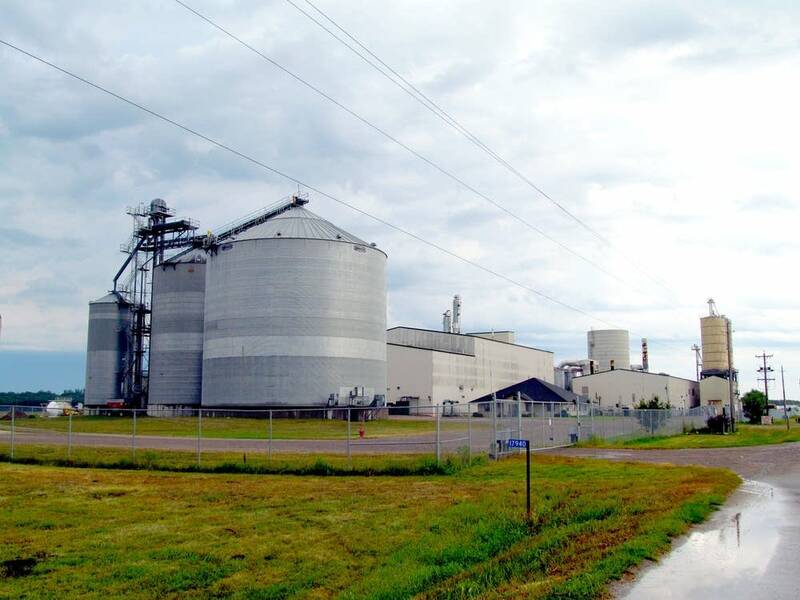 Central Minnesota Ethanol Co-op officials declined to comment in detail but confirmed the plant is idle, partly because of high corn prices. They said it didn't make economic sense to keep the plant running. It's not clear when it might reopen. "Most of the industry is just breaking even in terms of profitability or actually running at slightly negative margins," said Geoff Cooper, vice president of research and analysis at the Renewable Fuels Association, a Washington-based industry group. Cooper said since the start of the summer at least seven ethanol plants have idled in Nebraska, Minnesota, Indiana, Kansas and other states. Of those still operating, many are running at 75 or 80 percent of their production capacity. The nation's corn crop won't meet expectations. Some say it will be two-thirds the size of what farmers planted during the spring. It's that anticipated shortfall that's driving up corn prices. Many ethanol producers are sandwiched between the rising price of corn and fuel prices that are increasing, but not enough to keep profitable margins, said Stacey Hudson, senior research associate for energy for the financial services firm Raymond James & Associates. "With corn at about $8 a bushel these ethanol producers are looking at cash margins of about 0.8 cents per gallon, which is, you know, pretty weak," she said. On top of its effects on the ethanol industry, the high price and limited supply of corn has renewed a debate about whether the crop should be used to produce fuel or food. This year the federal government says producers should make 13.2 billion gallons of biofuel. Most of that comes from corn. 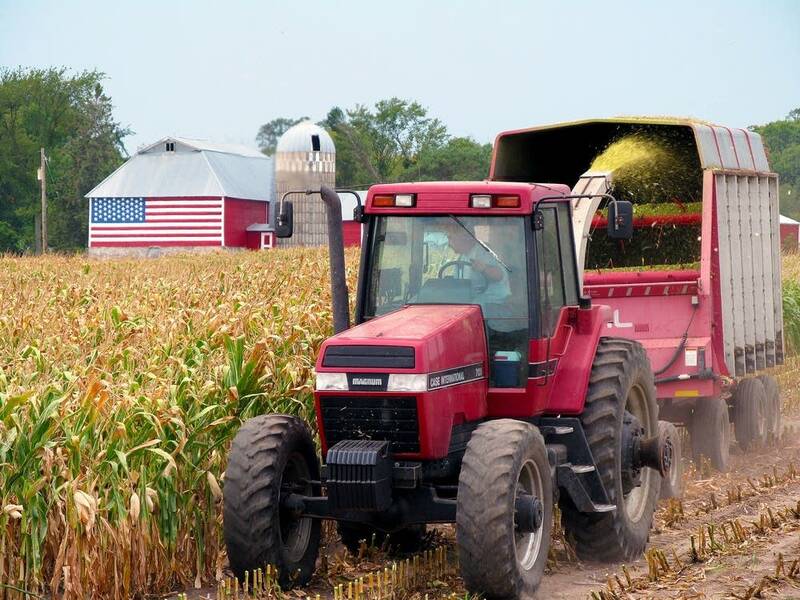 In a series of letters this month, governors and members of Congress petitioned the Environmental Protection Agency to suspend or lower the Renewable Fuel Standard, to ease costs for agriculture and food producers. Jason Hill, a professor of bioproducts and biosystems engineering at the University of Minnesota, said about 40 to 50 percent of nation's corn supply this year will go to producing ethanol. But he said the ethanol will only make up between 5 and 6 percent of the nation's fuel consumption. Using corn that way, Hill, said, results in a "very large impact on our corn market. A very small impact on our fuel market." Many farmers are having a difficult time affording the feed for their livestock. Earlier this month President Barack Obama announced the government would buy up to $170 million in surplus meat, as many producers are being forced to sell off their herds to the slaughterhouse. At the Centra Sota feed co-op in Little Falls, which sells feed for dairy cattle, chickens and other livestock, the effect of the drought and ethanol plant shut down is mixed. 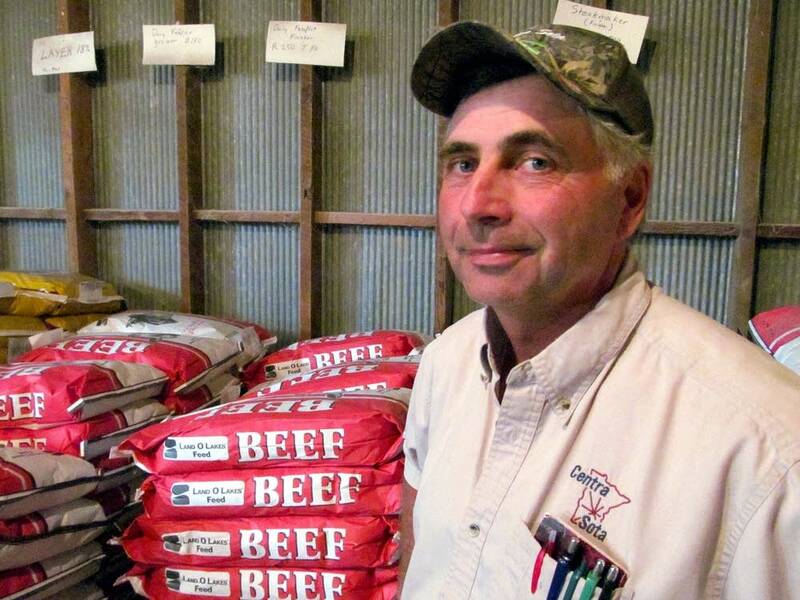 Manager Lon Johnson said the price of the 50-pound bag of cattle feed is up from $13 last year to about $17 this year. "This already reflects the high prices," he said. "Everything's been kinda going up." Well, not everything. Since the ethanol plant shut down, the price Johnson pays for corn has dropped by 15 to 20 cents per bushel. But he said it ends up being of a wash.
Johnson explains that he uses a by-product from the ethanol plant for feed. Instead of going down the road, Johnson now must drive 80 miles to the next plant to buy the partially used corn he mixes into feed. "It doesn't make it any easier for us because maybe we can buy our corn 20 cents a bushel cheaper, but it costs me 20 bucks more because we bought corn distillers from the ethanol plant," he said. "That's one of the things people a lot of times keep forgetting with an ethanol plant. Even though they're using a lot of corn they're still putting a lot of feed back into the market ... Food versus fuel? I think we need 'em both." The Renewable Fuels Association expects more plants to go offline if corn prices stay high and the price for ethanol stays relatively low. For now, those businesses tied to corn are waiting for the fall harvest to bring a little certainty — that and maybe a little rain.